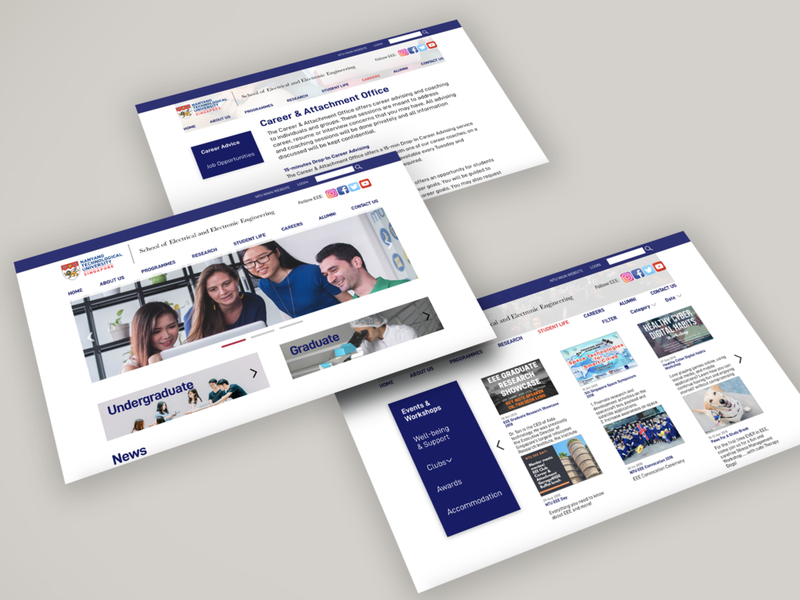 My group worked together to redesign the Information Architecture and key pages of the Singapore Nanyang Technological University’s School of Electrical and Electronic Engineering (NTU EEE) website. We had two weeks to complete this project and conducted various analysis of the current website and how it could be improved, and finally validated with usability tests. What are the goals of the school? We conducted a competitive analysis of competing schools; according to the pain points and needs of the personas that were given to us. NUS performed the best in terms of how easy and how quickly (number of clicks/levels, ability to find) we reached our destinations. This analysis allowed us to see what was wrong with the website, but specific to the personas given. 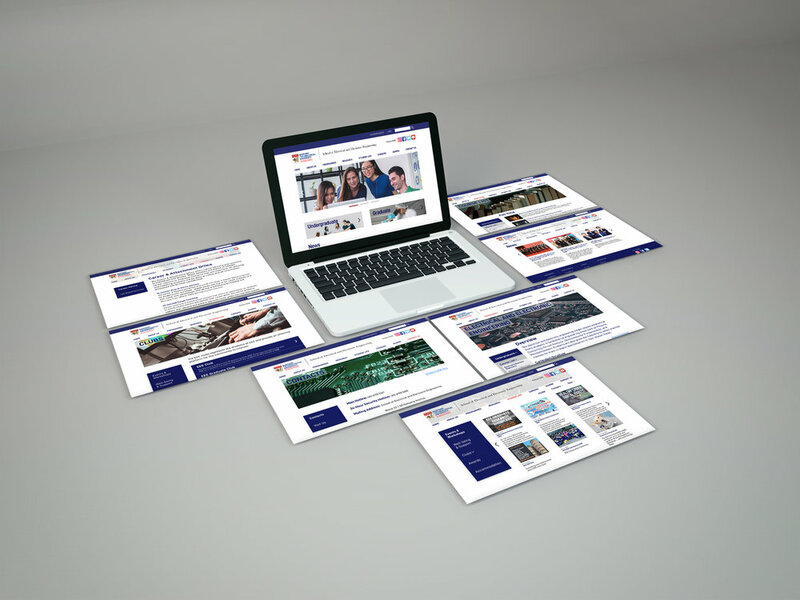 We were given personas to work with and to redesign the website based on their needs and pain points. We developed some design principles according to the heuristics identified. Our card sort and tree test were very important in the re-sorting of the IA because it allowed us to see exactly what users expected. The card sort was done by inputting a slightly altered (according to previous heuristics) sitemap with primary and secondary levels. The results obtained from the card sort allowed us to draft our first iteration of a redesigned sitemap, and then reinsert that into a tree test for validation again. 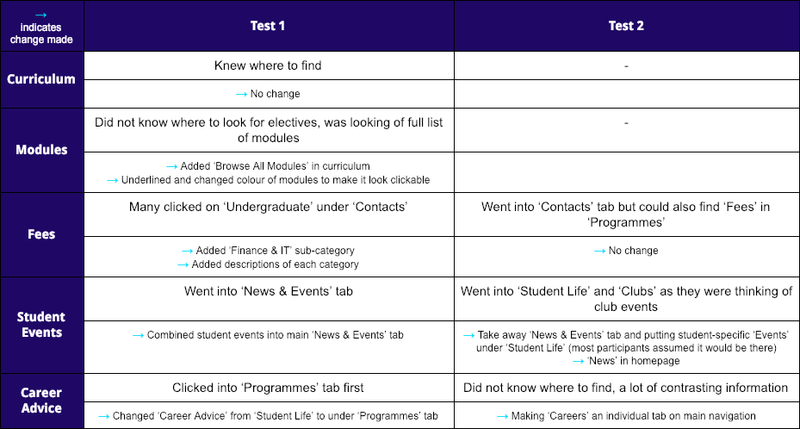 We conducted three rounds of usability tests where we asked NTU students to perform specific tasks according to our chosen persona, Jessica’s needs and pain points of a current student. Our final results showed that participants were able to complete the tasks much quicker on our redesigned website compared to the current existing website, and some participants were unable to even complete the tasks on the current website. The current website scored a SUS score of 48.3/100, while our redesigned website scored 85/100. Therefore, we can conclude that the redesign was a success. I learned that it is very important to use participants that are as close to your target audience as possible, simply because their prior knowledge and experiences can have large effects on the results. In a redesign, finding out and proving what is wrong with the current website is just as important as the redesign itself. Testing and iterating are always crucial.